Need a sameday courier quote? 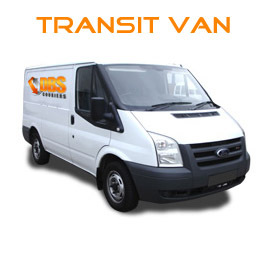 DBS Couriers are a reliable and professional Same Day courier company based in the North West with offices & warehouse in Walton Summit, Preston, which gives us direct access to the M65, M6 & M61 motorway network. Our friendly and efficient team are always available whenever you need us – Day or Night 24/7 – 365 Days A Year. 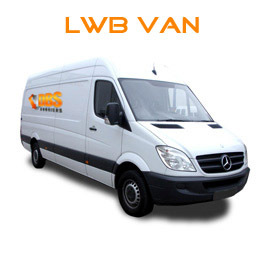 If you need a courier service for an urgent same day delivery of parcels, packages, urgent documents, computer equipment, machinery parts or pallet delivery anywhere nationwide, then call DBS Couriers in Lancashire for a fast, efficient and affordable same-day courier service. With over 15 years experience, fully inclusive goods in transit insurance, DBS checked and SIA licensed drivers, DBS Couriers can help your business by providing a professional and reliable Sameday delivery service no matter what your business needs are. DBS Couriers can collect your important item(s) within 1 hour and will deliver direct from A to B. DBS Couriers will NOT pick up any other deliveries on route, meaning your item(s) will be the only cargo on our vehicle(s) and will arrive at the agreed destination ASAP in perfect condition and without delay. Use our courier price calculator below for an instant courier quote to see how our Same Day Courier Services can help your business deliver on time. 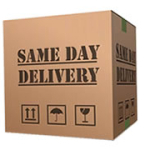 DBS Couriers guarantee a professional sameday delivery service. Receive a reliable, professional & personal service every time. Sameday delivery service available 24/7 365 Days a Year. DBS Couriers will collect your item(s) within 1 hour for direct delivery. Clear pricing structure with NO fuel surcharges. Inclusive goods in transit & public liability insurance. Receive email delivery notifications when your items(s) are delivered. DBS checked and SIA licensed courier drivers available for your important item(s). As being based in the heart of Lancashire and members of the largest network of national Sameday couriers in the UK. 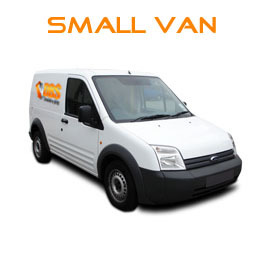 DBS Couriers can offer access to thousands of fully insured same day courier vehicles located throughout the UK. This gives us the flexibility to handle all of your same day courier needs. Do you need an urgent document, parcel, machine part or pallet(s) delivered the Same Day, Nationwide from Birmingham, London, Cardiff, Ipswich, Glasgow, Aberdeen or ANYWHERE within the UK? Then why not let DBS Couriers in Lancashire handle ALL your Sameday deliveries. Our network of UK Same Day Couriers can collect your item(s) from most major Towns and Cities throughout the UK within 30 – 60 minutes and deliver them direct from A to B. Get courier prices online or call us on 01772 338705 or 07860 360 906 for a low cost, reliable Sameday Courier service. Please visit our Courier Price calculator for a same day courier quote or call us on: 01772 338705 or 07860 360 906 for more information regarding your courier quote.